Well I picked up my first motorcycle over the winter. For the most part my mopeds are great for cruising around Minneapolis, they’re fast enough to keep up with traffic, they’re nimble as all hell and finding a place to park is ridiculously easy. Not to mention they get like 100+ mpg. Before I started riding, I studied this list of driving offence codes and remembered most of the important ones. The problem is that as much as I’d like to there’s no easy way for me to commute to work on one. I’ve got about a 20-30 minute drive from my house to work, but I have to cross over the mississippi river thus I have to get on a highway at one point or another and go 65 mph. Even if my mopeds could go that fast that’s a death wish and a half. So I decided to get my hands on a motorcycle. Although I have put my trust on my car accident attorney california and they will take care of me in case of an accident, I would not risk it. In your case, you can consult http://www.tjwillmakeempay.com/Oakdale-Kentucky-Car-Accident-Lawyer.shtml for legal steps you can make. You can also visit the Waukegan personal injury attorneys for more details. Going back–I’m used to 100 poundish mopeds so I didn’t want to go with anything too huge, 750cc was kind of the limit I had in the back of my mind. I also didn’t want to spend a whole lot of money either. So nothing new, it would be kinda dumb to blow a big chunk of change on a new machine and then decide I didn’t like motorcycles. I spent a lot of time looking at bikes, sitting on them and researching. One thing I knew for sure, I didn’t want a harley, nothing against them I think a lot of them look pretty cool, but they’re loud as hell. I like my cars and moped as quite as possible, noise distracts from the driving experience in my opinion. I didn’t want to be “That Guy” every time I drove through my neighborhood. I’m going to be using this bike as a commuter and doing longer distance driving so a crotch rocket was out as well. They’d be fun to rip around, but I wanted something a little more practical. 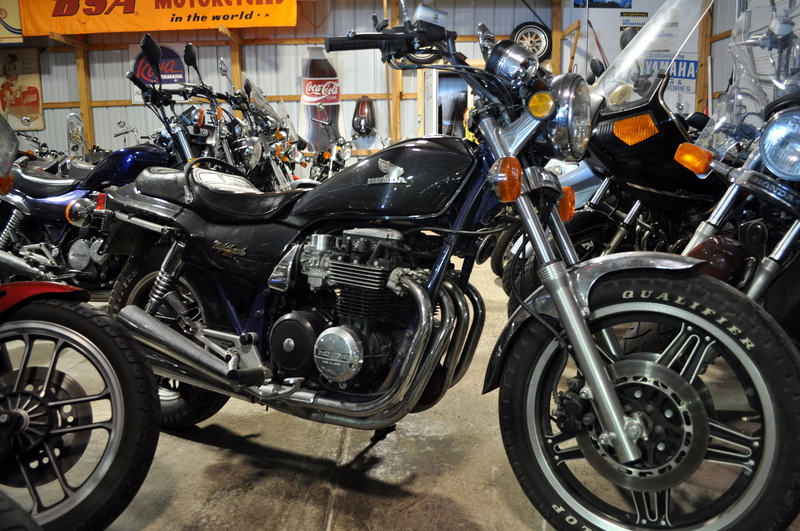 I like the style of the older triumphs, nortons, royal enfields, etc. from the 70s but they seem to be more popular with the collectors out there and are a little pricey. I have had some personal injuries in my past and I had to contact personal injury lawyers, you have to pick the right lawyer who is experienced. 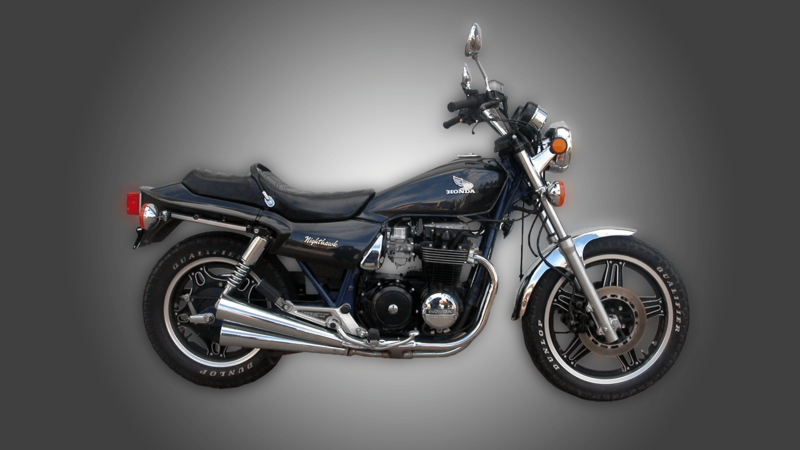 So basically I was in the market for a plain old normal motorcycle of japanese origin from the 70s or 80s. I kept my eye on craigslist, but it’s slim pickings during the winter months so I didn’t have luck there, I ended up taking a trip down to Sport Wheels in Jordan, MN. My dad has bought many bikes from them over the years so I thought I’d swing by and take a look. OMG SPORT WHEELS IS AWESOME!!! It’s the largest motorcycle salvage yard in the nation from what I understand. They pretty much have acres of space filled with motorcycles. It’s pretty cool just to see. 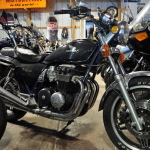 In addition to all of the broken down machines they also have a pole barn of good running motorcycles. Once the snow is all melted I’m going to go down again and take some pics. 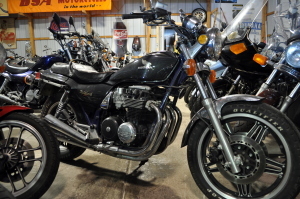 I ended up finding a 1982 Honda Nighthawk 650 that I liked and bought. It’s in really good shape and they ran it through their shop and checked everything out before we took it home. My parents live down by Jordan and I had never driven a motorcycle before so I figured it be a good idea to have my dad drive it to his place. This was the beginning of March so the first thing he told me once he got it home was “You’re gonna want to get a windshield on that thing, brrr”. I took it for a little spin and I was a little worried at first since this thing is a lot heavier than the stuff I’m used to riding, but it was surprisingly easy. I got the hang of it within about a block. I’m pretty excited to start driving it to work, I just need to get my motorcycle endorsement now. Well, let us be careful when it comes to driving and do not forget to wear safety gears. However, we can’t predict accidents. The joy of a physics-defying motorcycle ride can quickly turn to terror in the moments of a motorcycle accident. 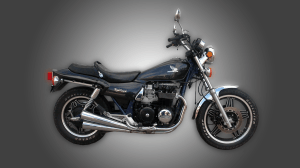 Good things is, the Birmingham motorcycle accident lawyers can give you high-quality representation where you can secure your protection and validate your rights.